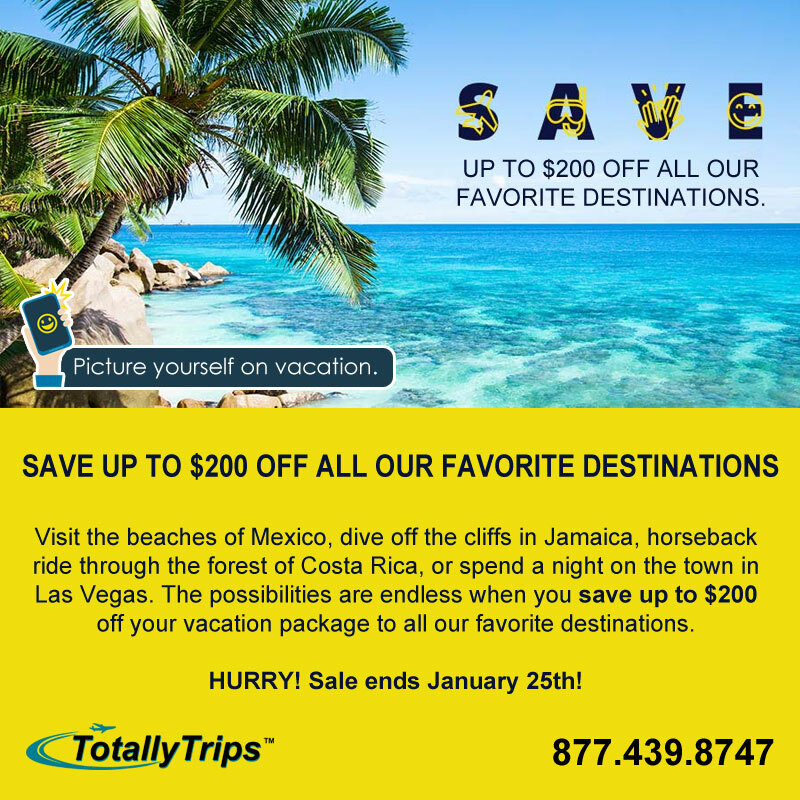 SAVE UP TO $200 OFF ALL OUR FAVORITE DESTINATIONS! Visit the beaches 🌴 of Mexico, dive off the cliffs in Jamaica, horseback ride through the forest of Costa Rica, or spend a night on the town in Las Vegas. 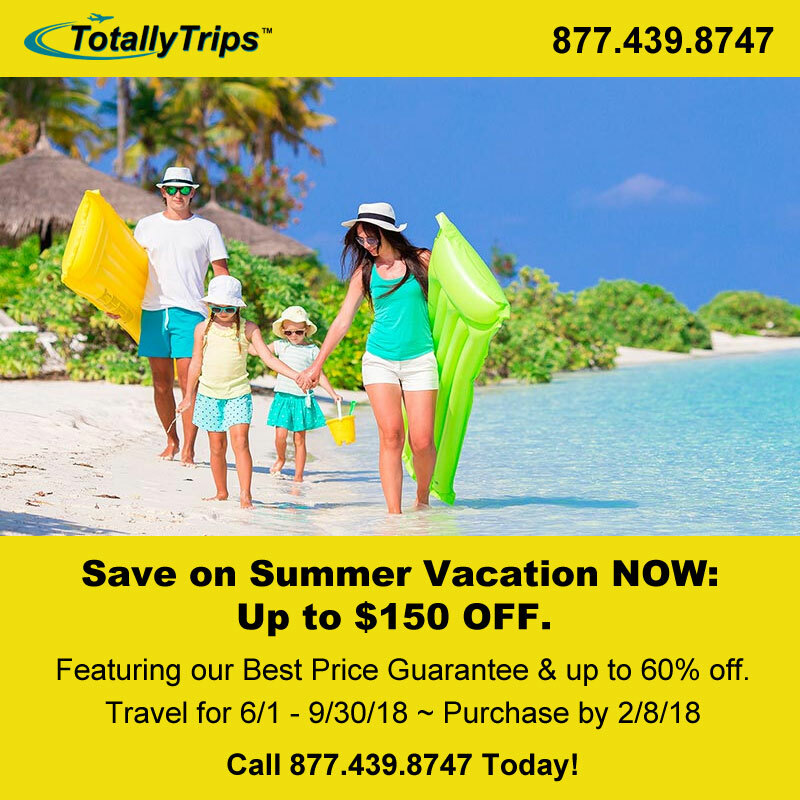 The possibilities are endless when you save up to $200 off your vacation package! Hurry! ⏰ Sale ends January 25th! ⏰ Call 877.439.8747 today!!! The New Year is almost here and that means New Savings like up to 50% off Riu All Inclusive Resorts! PLUS, get pampered with Riu’s luxury spa credits when you book by 12/21/18 for travel through 4/30/18. Start the New Year off right… on the beach! 🌞 Call 877.439.8747 today! 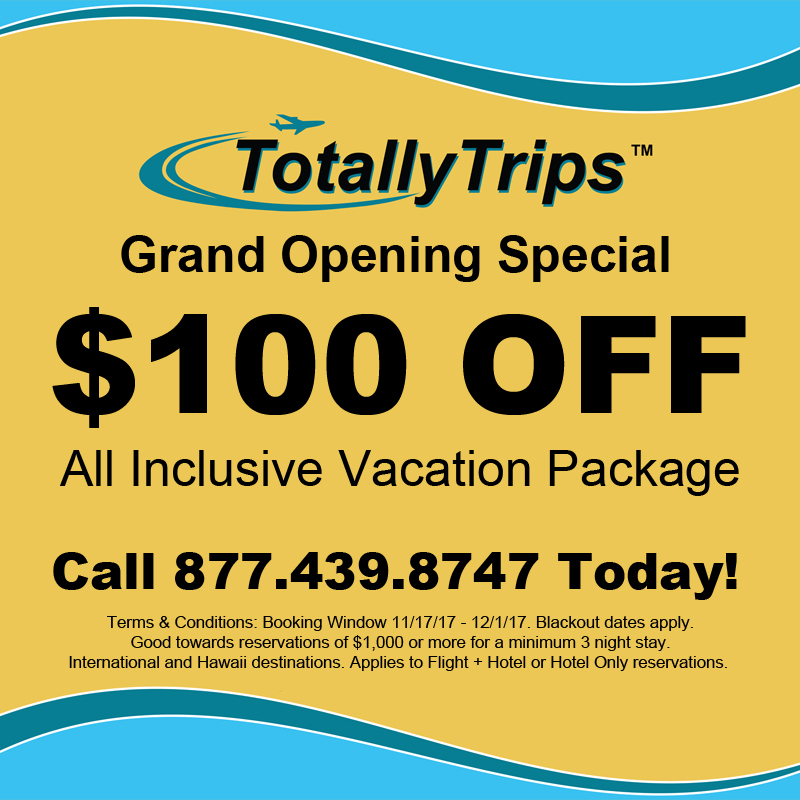 Right now, you can save big EXCLUSIVELY with Totallytrips during our Grand Opening Special event. Call 877.439.8747 today!